beautiful twin island republic has to offers both for local people and tourist! Calypso - a form of musical genre that comments on any subject such as politics, social, humourous and party tunes. Calypso Tents - ole time kaisos for the true calypso lovers featuring social, political and humourous songs. Dimanche Gras - calypsonians singing there tunes to be crown the calypso monarch of the year along with the crowning of kings and queens of band featuring spectacular costumes. Fetes - dance till daybreak with your favourite brass band whether it is Roy Cape, Shandileer, Atlantik, Xtatik, Blue Ventures, Traffik or Sound Revolution. Free Up - to enjoy oneself and loosen up in a fete. 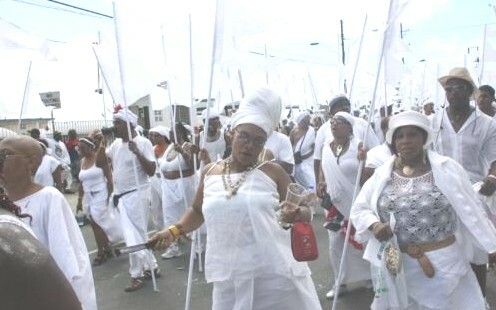 J’Ouvert - the bacchanal now start.....start of carnival, ole mas, mud mas, burrokeets and pan on de road. Mas - originating from the French word "masquerade(r)", which means costume or disguise. Hence the carnival experience: people, costumes, parade, music, fetes and pan. Mas Band - a group of masqueraders playin mas' dressed in costumes in a band lead by a band leader portraying a theme. Mas Camp - see your favourite mas band prepare for the carnival and maybe even play mas with your band...... Peter Minshall, Wayne Berkeley, Stephen Lee Heung, Poison, Barbarossa, Harts and many others mas bands. Nite Mas - catch the ole time mas and especially the pan on de road as they have competitions. Panyards - see your panside rehearse for panorama and win the big one.....some of the well know pansides, all-stars, renegades, phase II, desperadoes, exodus, fonclaire, tokyo and invaders. Play Mas - a masquerader dancing in their carnival costume. Wine Down - a phrase heard at fetes meaning to move your hips in time with the soca and calypso music. 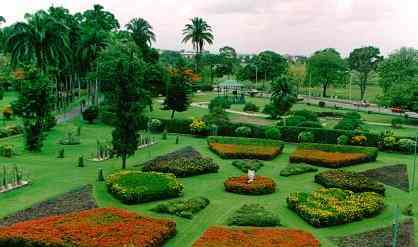 Botanical Gardens - see the many species of tropical and subtropical plants that inhabit Trinidad & Tobago. Brian Lara Promenade - strolling or liming in the promenade, people gossiping, , playing cards or a board games eating, drinking and some shopping. Cathedral of the Immaculate Conception - an Roman Catholic church built in the early 1800's. Charlotte Street - the heart of Port of Spain....find gifts, souvenirs and clothing to carry for friends and family. City Gate - Port of Spain main transportation hub which occupies the old rail station on South Quay. 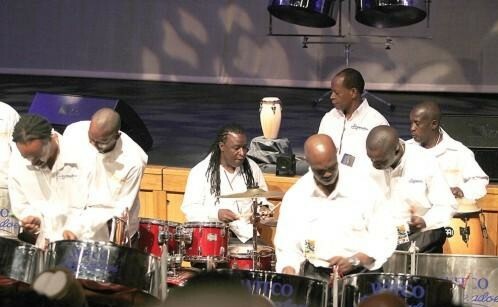 Desperadoes Pan Theatre - located on top of Laventille Hill which is home to WITCO Desperadoes Steel Orchestra...one of many steelbands in Trinidad & Tobago. Emperor Valley Zoo - see the local animals that are indigenous to Trinidad & Tobago as well as other animals seen in most zoos. Frederick Street - also the heart of Port of Spain....more shopping for gifts, souvenirs and clothing. Fort Picton (Martello Tower) - dating back to the early 1800's which was built by Trinidad's first brutal governor Thomas Picton. Fort Chacon - built in the late 1700's to the last spanish Governor of Trinidad called Don Cosmo Damien Churruca which set up an observatory and fixed the first accurate meridian in the "new world". La Laja Nature Retreat - a nature retreat located in Maraval. Mosque - Port of Spain's largest mosque located at foot of Laventille hill and the corner of Piccadilly and Queen Streets. 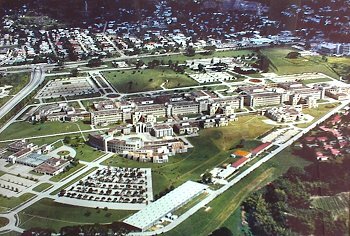 National Museum & Art Gallery - learn about the culture and history that make Trinidad & Tobago unique. Queen's Park Oval - watch either the West Indies or Trinidad & Tobago play a game of cricket. Queen's Park Savannah - sit in the Grand Stand or North Stand to watch the carnival shows, in additional to many other events schedule during the year. The Red House - where the Trinidad & Tobago government sits for the parliament. Trinity Cathedral - an Anglican church also built in the early 1800's. Woodford Square - next to the redhouse....catch up on all the government bachannal and news! Aripo Caves - Trinidad's largest cave system featuring fantastic formations of stalactites and stalagmites. Aripo Savannah - a scientific reserve near Sangre Grande. Arena Dam - located near San Rafael, a big reservoir that feeds much of Northern Trinidad. Brasso Seco - a village famous for coca, coffee and parang music. Caroni Bird Sanctuary - the home of the Scarlet Ibis (bird) ....... a large wetland bird sanctuary on the north-west coast. Cleaver Woods - settlement for the Amerindian tribe and also home to the Santa Rosa Festival. Chaguaramas Military History and Aviation Museum - the only military and aviation museum in the Caribbean. Devil's Woodyard - a live bubbling mud volcanoes. Diego Martin Valley - the world famous Blue Basin waterfalls. Fort Abercromby - overlooking Las Cuevas and Blanchisseuse. 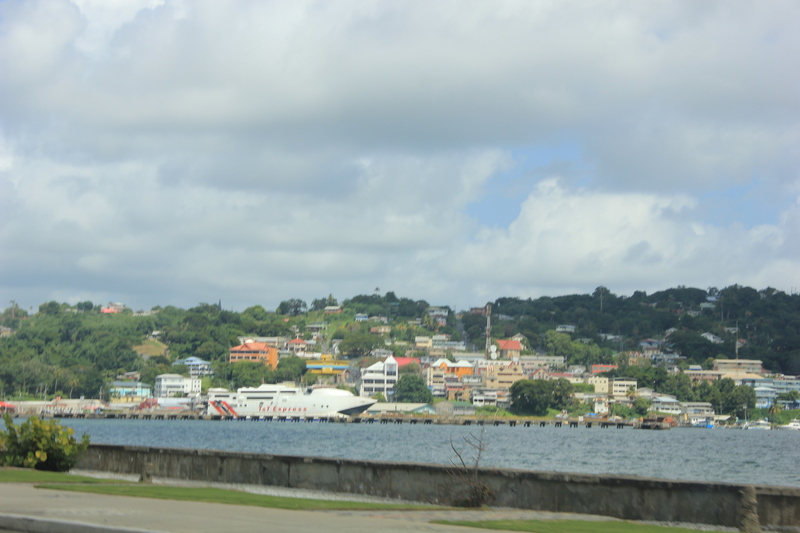 Fort George - overlooking Port of Spain, the fort dates back to the earliest British days built in 1800's. Galera Point - the oldest lighthouse in Trinidad where the Atlantic Ocean meets the Caribbean Sea. Gasparee Caves - Trinidad's offshore islands that houses the ruins of colonial fortifications and caves. High Street - San Fernando - more shopping for tourist, the largest city in South Trinidad. Hollis Reservoir - birdwatching sanctuaries in the foothills of the Northern Range mountain. Lopinot Complex - located in Lopinot valley, which has a restore French estate built in the 1800's also home of the parang music at christmas time. Maracas Lookout - a fantastic view overlooking Maracas Bay and Balata Bay. Maracas Waterfall - another beautiful waterfall located in the Northern Range just north of St. Joseph. Mount St Benedict - the oldest Benedictine monastery in the Caribbean, built in the early 1900's,which lies on the Northern Range mountain. 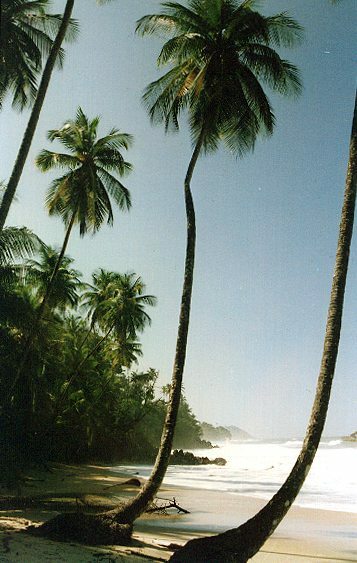 Macqueripe - A swimming location located at the end of Tucker Valley Road. Nariva Swamp - a freshwater system wildlife sanctuary. National Science Centre - educational centre design to teach children science in the world we live. Navet Reservoir - located near Tabaquite, a vast lake for picnics and hikes. North Post Marine Radio Station - a panoramic view overlooking the North Coast. Palmiste National Park - 40 acres of park located near San Fernando that has jogging tracks, nature trails, picnic shelters and an arboretum. Paramin - a centre located up in the hills near Maraval Village, home to authentic parang music and folk traditions. Paria Waterfall - another beautiful waterfall located along the North Coast. 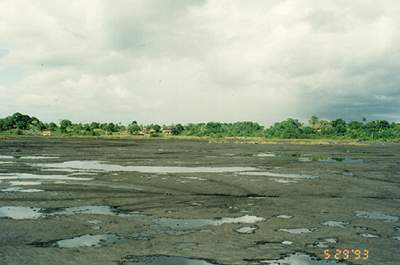 Pitch Lake - a natural churning asphalt.....you may walk on the asphalt but heavy objects such as cars will sink, in addition items been known to disappear and reappear years later. Point Galeota - located on Trinidad's southeast tip, a oil and gas reserve . Point Lisas - an industrial estate that produces natural gas, oil, methanol, ammonia, fertiliser and steel. Quinam Recreational Park - a forested area located in Southern Trinidad that has nature trails and picnic shelters. River Estate Water Wheel - Sugar estates powered by the old fashion water wheel for energy. San Fernando Hill - a lookout point overlooking the city of San Fernando, Northern Range, Southern and Central Trinidad. Sanderson Heritage Park (Fyzabad) - recreational activities (outdoor cooking, picnics, fishing, bird watching, camping, horseback riding, kayaking and jet skiing on a lake). Santa Cruz Valley - a plant and flower nurseries. Siewdass Sadhu Shiv Mandir (Waterloo) - a hindi temple that stands in the sea built in the 1930's. Adventure Farm and Nature Reserve - a 12-acre estate bird and wildlife sanctuary and orchards for picking fresh fruit. Arnos Vale Waterwheel and Nature Park - an 18th-century sugar factory where a waterwheel powers the mill in addition a nature park. Argyle Waterfall - well you think Trinidad has beautiful waterfalls.....well check this one out that is in Tobago. Botanic Gardens - see many species of tropical trees and shrubs sloping down the Claude Noel Highway to downtown Scarborough. Buccoo Reef - a marine park, accessible by boats where snorkelling, diving and swimming can be done to see many of species of fishes, tropical plants and reefs that are located off shore! Courland Monument - see where the settlers first colonized in Tobago. 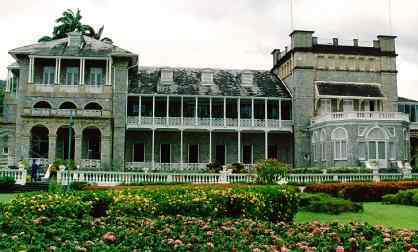 Court House - dating back to 1825, overlooking James Park in Upper Scarborough is where the Tobago House of Assembly meets. Crusoe's Cave - a cave with not much to see. Flagstaff Hill - locate at the north of Tobago, which was once the site of an American military lookout and radio tower during World War II. The hill is now a fantastic panoramic, view St Giles Islands and the village of Charlotteville. 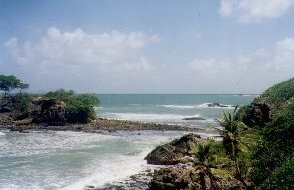 Fort Bennett - see the ruins of one of Tobago oldest fort and a panoramic view of the west coast of Tobago. Fort Granby - visit the unknown soldier at this fort that once guarded Georgetown. Fort James - is located near the mystery tombstone and the Great Courland Bay settlement in Plymouth. The barracks and cannons still stand overlooking Great Courland Bay. Fort King George - Tobago's best-preserved historical site built in 1780's. Fort Milford - an old fort located on Milford Road which overlooks the Caribbean Sea and makes a nice quiet resting spot. Gilpin Trace - a forest trails down to a waterfall 945 min. walk) or to Bloody Bay beach (2 1/2 hrs walk). Grafton Caledonia Wildlife Sanctuary - a bird and wildlife sanctuary located in Black Rock. Hillsborough Dam - set in rich secondary forest with trails and waterfalls, you need a pass from WASA (Water and Sewage Authority in Scarborough). 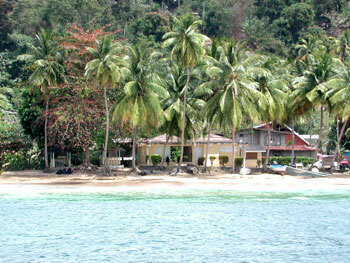 Little Tobago Island - a seabird sanctuary located on a small offshore island facing the village of Speyside. Louis d'Or Nurseries - a wide range of flowering plants, shrubs, tropical fruit trees found at this nursery. Mystery Tombstone - the tombstone where the inscription reads "was a mother without knowing it, and a wife without letting her husband know it except by her kind indulgence to him". 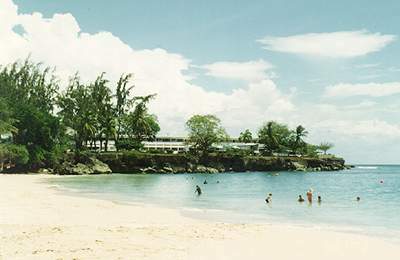 Nylon Pool - a shallow sand pit in the lagoon which is great for bathing, located near Buccoo Reef. Richmond Great House - a restored plantation house built in 1766, with early 20th century furniture. Scarborough Market - specializing in fish, fruit, vegetables, and local foods. 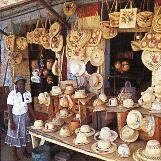 Tobago Museum - learn other history and culture of Tobago ..the sister island of Trinidad. Witch's Grave - located in Golden Lane Village is the grave of Gang Gang Sara; according to legend, she was an African witch who flew to Tobago centuries ago and was unable to fly back because she had eaten salt.